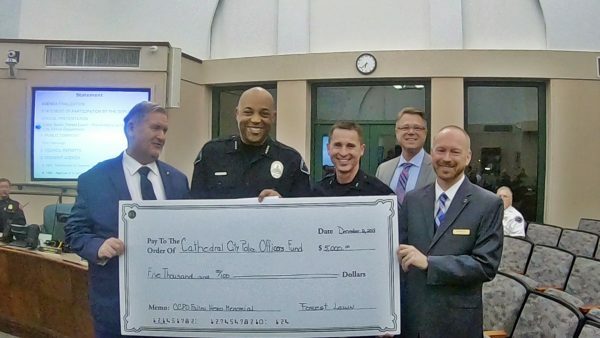 Back in August, the city council held a study session on the idea of whether to ban plastic straws completely in Cathedral City. Residents and business owners spoke in favor and against the proposed outright ban. Members of the disability rights community spoke to the council and addressed their concerns. The council decided to form a “Plastic Straw Study Group” comprised of interested parties and led by Mayor Pro Tem Pettis and Councilmember Carnevale. The Group provided a report to the full council in November on the feedback and concerns of the opposing sides. 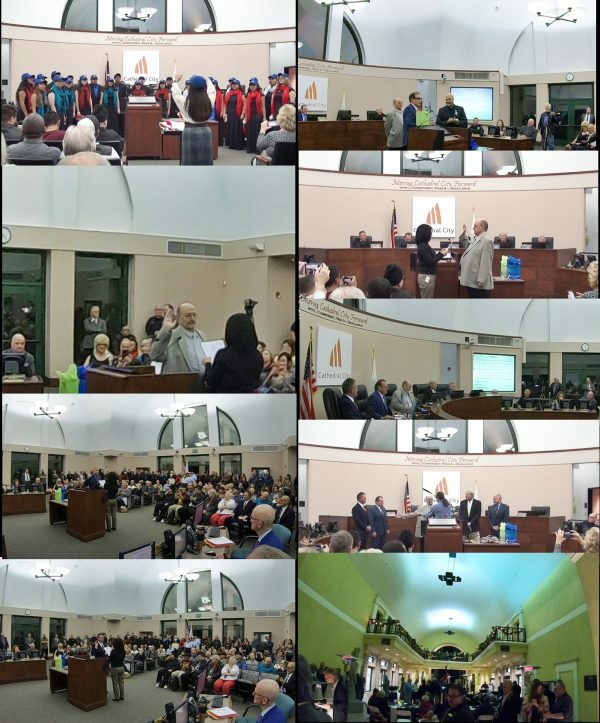 Based on the input from business owners, residents, and members of the disability rights community, the City Council voted on Wednesday, December 12, 2018 on a modified plastic straw ordinance. Effective January 10, 2018, unless a plastic straw is requested by a customer, all beverage providers cannot distribute single-use plastic straws. This modified City ban is slightly more stringent than the state’s plastic straw ban that goes into effect on January 1, 2018 for only full-service restaurants. 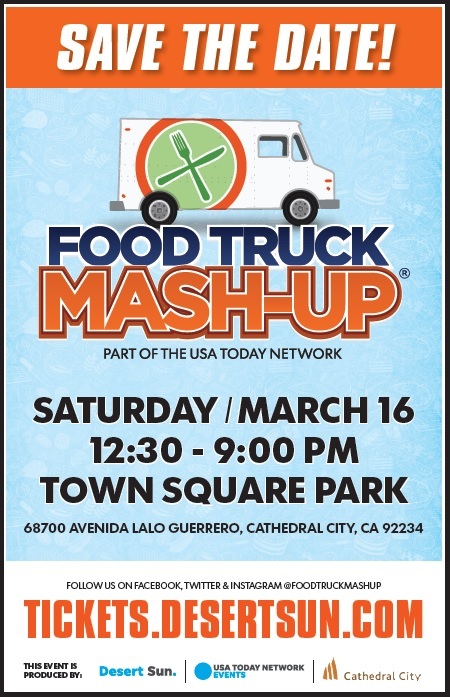 Cathedral City’s plastic straw ban applies to all beverage providers including convenience stores, fast food restaurants, and delis. However, it does not apply to paper straws or other types of environmentally-friendly straw choices in the marketplace. Once the ordinance goes into effect, you may still get a straw at your favorite beverage provider; however, they will likely offer you a renewable sourced straw, not plastic. You must ask specifically for a plastic straw if you so choose. The reasoning behind the ban is simple. 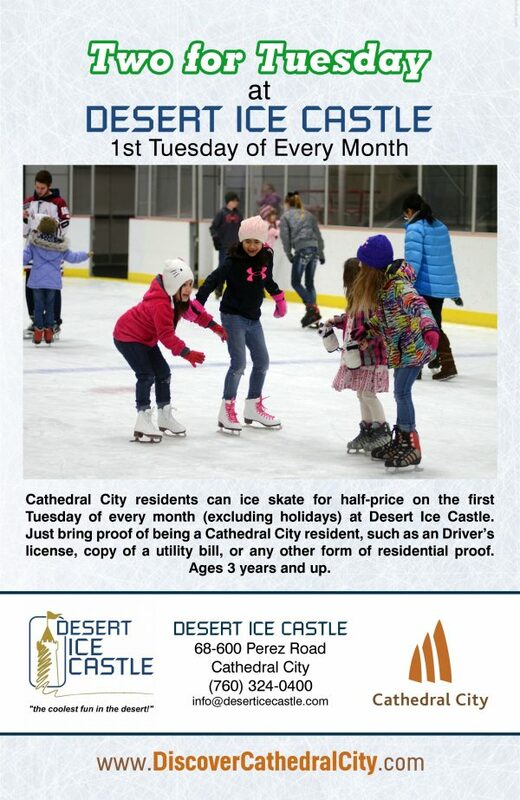 Each day, residents and visitors in Cathedral City use an average of 1.5 plastic straws per person. This amounts to 81,000 plastic straws daily and 29.5 million plastic straws each year that end up in our landfill and water systems. This petroleum-based pollution degrades the environment and is harmful to fish, birds and all other aquatic species as the plastic straws eventually breakdown into micro-sized pieces and consumed by these living creatures. The results are detrimental, if not fatal, to aquatic life and birds. Scientific research continues to monitor how these plastics are getting into our food supply and what harmful effects they may be causing to humans. 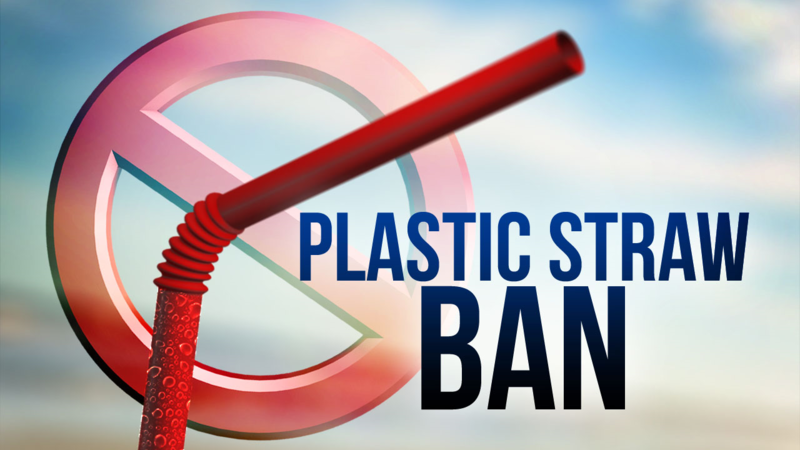 In an effort to allow businesses an opportunity to deplete current plastic straw inventories, the City ordinance passed provides a mandatory 90-day grace period from the effective date, which runs through April 10, 2019. 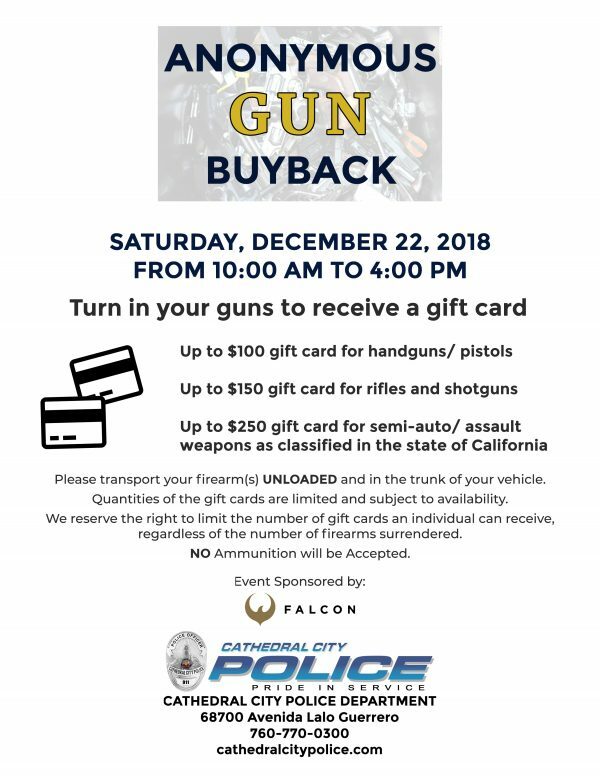 After the grace period, violators of the ban can receive an administrative fine. 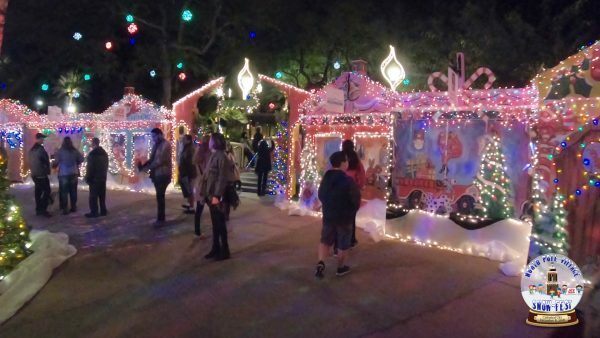 Hundreds of families came out to the “North Pole Village at Snow Fest,” presented by ACE Hardware (Cathedral City), in Downtown Cathedral City on Saturday, December 8, 2018 to celebrate the “most wonderful time of the year!” Emceed by Weathercaster Bryan Gallo of KMIR, the annual event included a lit Hollywood-style movie set themed as Main Street at Santa’s North …Read more. 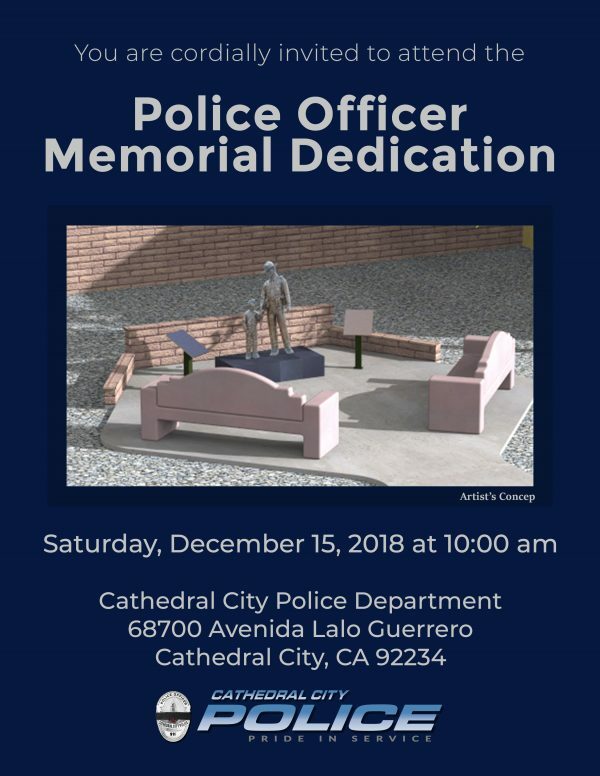 Join the City Council of Cathedral City, Cathedral City Police Department, and the Cathedral City Public Arts Commission for the "Police Officer Memorial Dedication" on Saturday, December 15, 2018 at 10:00 am located adjacent to the Cathedral City Police Department, 68-700 Avenida Lalo Guerrero. 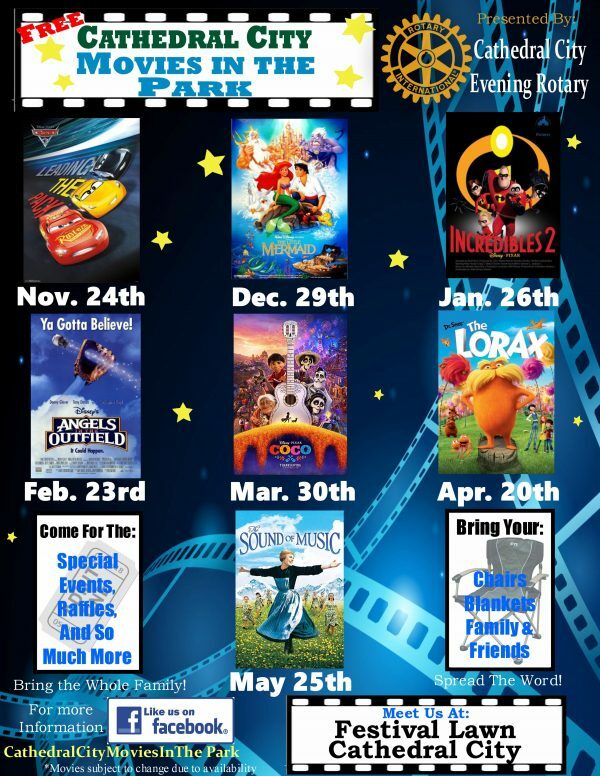 Gather the family, blankets and/or chairs for “Movies in the Park” located this season at the Downtown Festival Lawn, 68600 East Palm Canyon Drive (HWY 111) in Cathedral City. 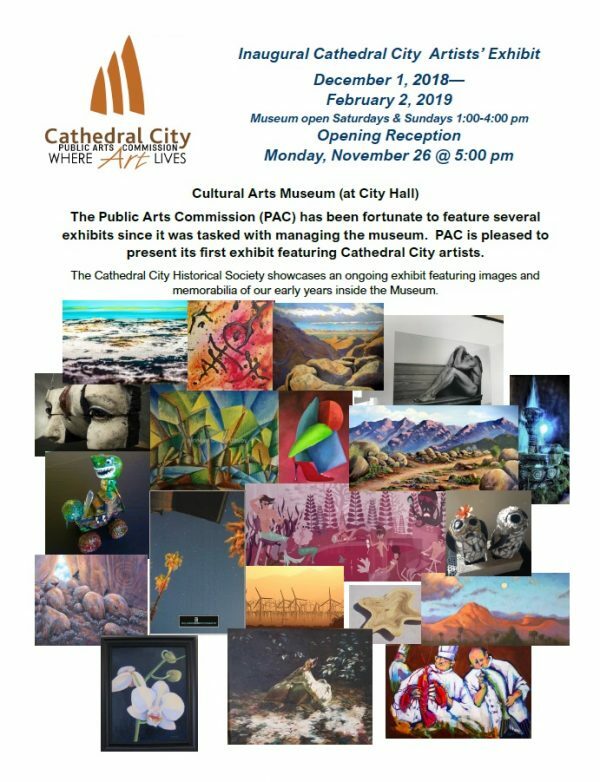 The free event, hosted by the Cathedral City Evening Rotary and sponsored by the City of Cathedral City, happens once a month on a Saturday evening between November and May, at 7:00 pm, except for the month of May, which begins at 8:30 pm due to daylight savings time. Read more. The Palm Springs International Film Festival is a portal for the very best in world cinema, welcoming more than 136,000 enthusiastic filmgoers. 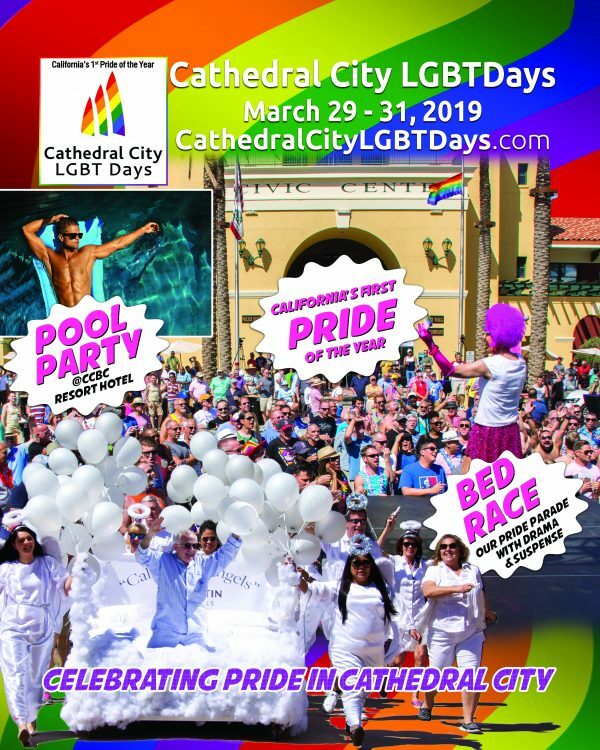 For the fourth year in a row, the film festival will utilize the Mary Pickford Theatre in Downtown Cathedral City to showcase many of the films on multiple screens.